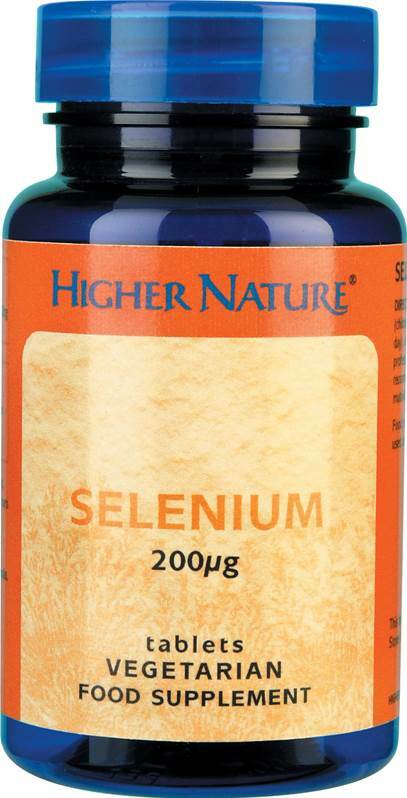 Higher Nature Selenium (60) - Selenium helps make the body’s Antioxidants enzyme. Helps healthy cardiovascular, immune, & reproductive function & healthy hair & nails, thyroid & brain function. The antioxidant mineral, Selenium, is needed to make the body’s own antioxidant enzyme, glutathione peroxidase. It also helps maintain healthy cardiovascular, immune, and reproductive function, as well as healthy hair and nails, thyroid and brain function.